I know it seems strange. But you must try these pancakes at least once. They are different and just plain tasty. And they are fun. We got a big kick out of preparing, eating and talking about them. I’m making a promise right now: No more furrowed, worried brow. 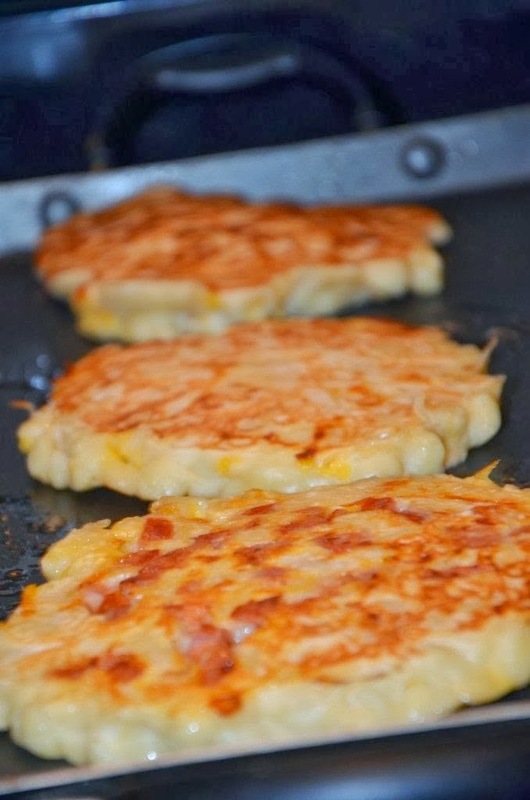 Too short not to try Macaroni and Cheese Pancakes. They don’t make sense. They just taste good.